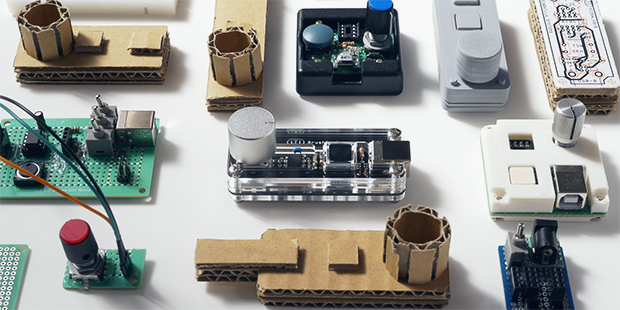 BrushKnob is a Simple Rotary Encoder for Controlling Photoshop Tools « Adafruit Industries – Makers, hackers, artists, designers and engineers! The project is currently being crowdfunded by Japanese maker Wataru Kami here on Indiegogo and its source code can be found here on GitHub. The computer recognizes BrushKnob as an extra keyboard. When you turn the knob or press the button, the system interprets the signals as keyboard shortcuts. BrushKnob can therefore be used with any application (not just Photoshop) as long as the same keyboard shortcuts are assigned.